We are thrilled to feature the work of Sian Davey as the next Ctrl+P: Photography Taken Offline artist. Four photographs are on view at the gallery from her Looking for Alice series through December 31, 2016. 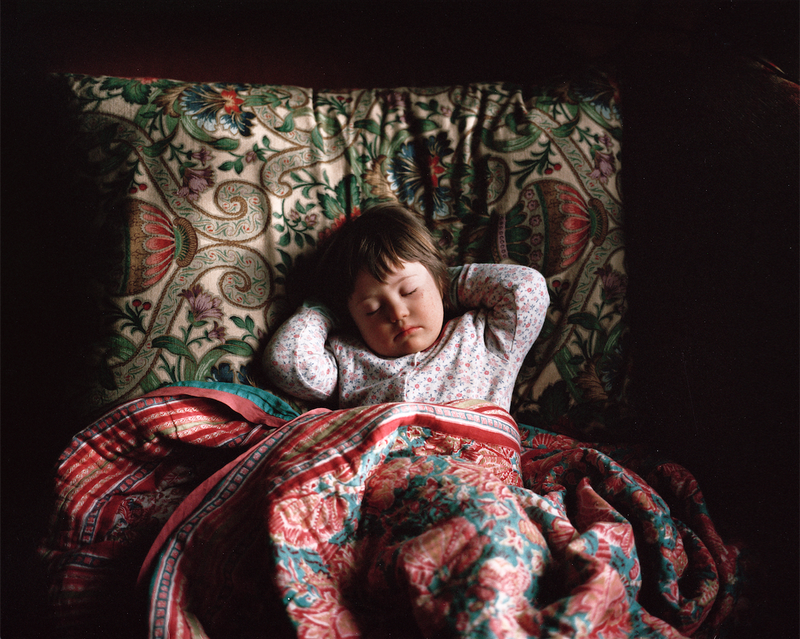 Sian Davey is a photographer with a background in Fine Art and Social Policy. Originally from Brighton in the U.K. Sian is now based in South Devon, in the South West of England. Sian had a private Psychotherapy practice for 15 years, but has recently closed this in order to commit to her photography practice full-time. Her work is an investigation of the psychological landscapes of both herself and those around her. Her family and community are central to her work. 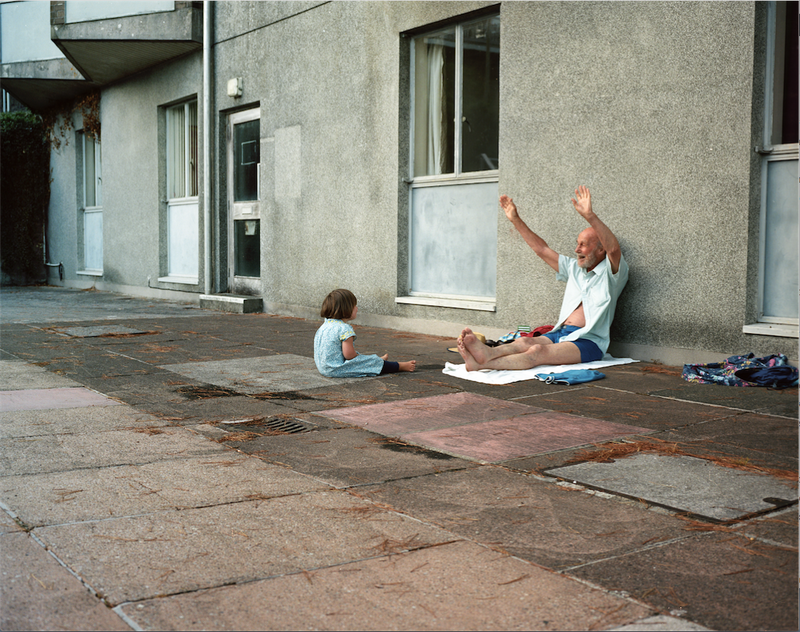 Sian completed her MA in Photography and her MFA (2016) in Photography at Plymouth University. 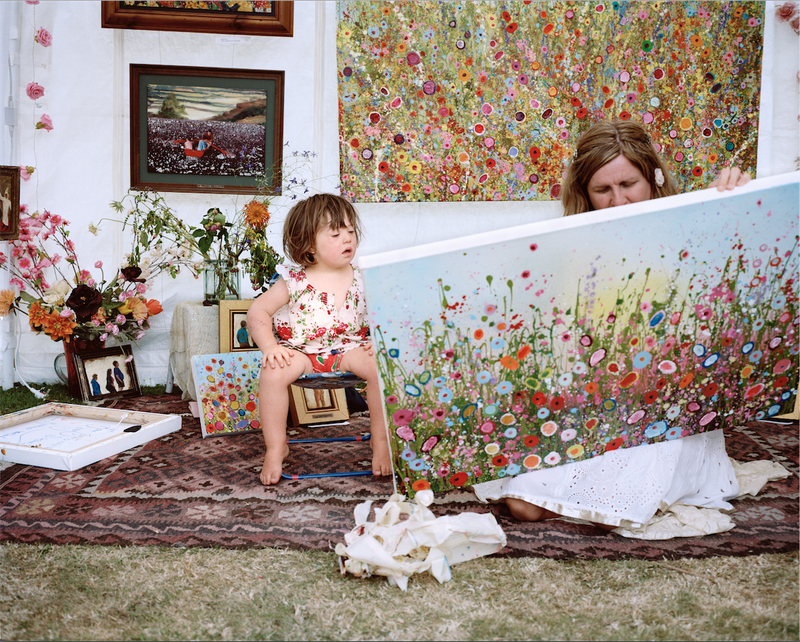 She has been the recipient for numerous awards including more recently winning the Arnold Newman Award for New Directions in Portraiture and for the last three years (2014-2016) has been selected for the Taylor Wessing Portrait Award at the National Gallery in London. 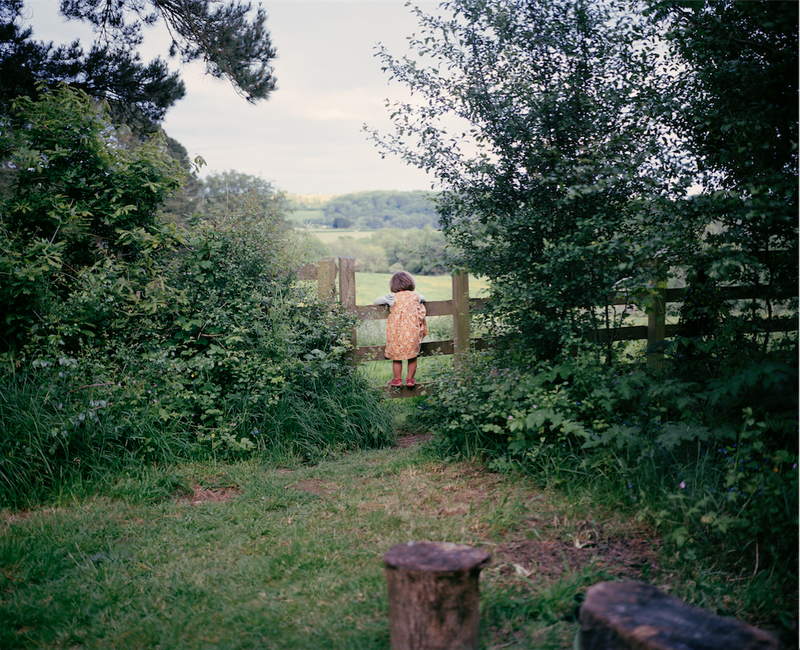 Sian’s first book Looking for Alice (Trolley Books) was published in 2015 and is currently shortlisted for Photobook of the Year at the 2016 Aperture Foundation Awards at Paris Photo 2016. Alice is my daughter and I started to photograph her when she was a year old. She was born with Down’s Syndrome, but is no different to any other little girl or indeed human being; she feels what we all feel and needs what you and I need. Similarly, my family is a microcosm for the dynamics occurring in many other families – all the joys, tensions, ups and downs that go with the territory of being in a family. In my previous work as a psychotherapist I have listened to many stories and what was revealed to me, during my fifteen years of practice, is not how different we are to one another, but how alike we are. The stories vary, but we are all vulnerable to the same feelings of shame, anger, grief, pride and so the list goes on. Early on in the pregnancy my partner and I were told we had a high probability that we were carrying a baby with Down’s Syndrome. Despite this, I was not prepared for how I would feel after Alice was born and diagnosed. I was deeply shocked, it was not what I had really expected. Our first experiences in hospital did little to diffuse this. After examining Alice, the paediatrician announced that we should ‘take her home and treat her like any other baby’. But she didn’t feel like my other babies. I was fraught with an anxiety that rippled through to every aspect of my relationship with her and, that penetrated my dreams. I dreamt that Alice was swaddled in a blanket and that I had forgotten all about her. In my dream I unwrapped the tight bundle to feed her, only to discover that she was covered in a white fluid – a fluid of neglect; and I was unable to feed her, unable to respond to her basic needs. I could sense that Alice was feeling my rejection of her and knew that the responsibility lay with me to work this out and find a way through the fear which as getting in the way of loving her. As my fears dissolved I fell in love with my daughter. Alice entered a world where routine screening at twelve weeks gestation is entirely weighted towards birth prevention, rather than birth preparation. Whilst we make our selection and decisions in private, the effect on society is that in the UK, the latest figures (in 2015) tell us that ninety two per cent of Down’s Syndrome babies are terminated at the pre-natal screening stage. Even prior to the introduction of screening, children such as Alice would have been severely marginalized and often institutionalized, with little or limited medical care. Ultimately, this is a story about love and what gets in the way. This concerns all of us, my daughter’s diagnosis is only one aspect of it. The rest is about yours and mine, and indeed society’s relationship with ‘difference’ of all kinds – this is what Alice is inviting us to reflect on. The process of photographing this work has helped me shine a light on why I struggled to love Alice, which was essentially fear and uncertainty. The project has been very much a co-creation and I have no doubt that Alice has guided to me to what needed to be expressed and understood. She is now in the middle of everything that we do as a family and is loved unconditionally, as it should be. I can’t help but wonder how it might be for Alice to be always valued everywhere, without distinction, without exception, without a second glance.